Did you know that there are currently over a billion active websites and blogs on the internet today? It’s true! When they say “active”, that means they are actually live and producing content. If you were to take a count of every website, blog, forum and info source online, you would quickly find yourself counting into the several billion. With all of this in mind, it’s important to make sure that your website not only provides value but also is quite beautiful in comparison to other sites out there. It’s not enough to simply go live with a site and offer content to your audience, you also need to make sure your site stands out from the crowd. At the same time, it’s also extremely important to make sure your site loads fast and fully accessible across all viewing devices. To help with this process, we are going to cover three working methods that will keep your site looking great, loading fast and accessible by all audiences. If you haven’t already, be sure to implement these quick methods and tips into your website or blog today. About a decade ago, if you wanted to create a website you would have had to hire a designer, choose from an HTML template and also learn how to upload your content through FTP. Now it’s a completely different ball game thanks to WordPress and it’s amazing free CMS platform. Not only is WordPress now powering a great majority of sites on the internet today, it’s also making the process of site design, customization and user experience a whole lot easier. Free WordPress Theme – The WordPress theme directory has hundreds of thousands of free themes to choose from. While they are free and most are decent, it is recommended to stay away from free themes, as they don’t offer the safety or support that a premium or custom theme offers. Premium WordPress Theme – Premium WordPress themes are definitely worth considering, as they are usually built by legitimate design companies and often updates with changes in the online environment and WP upgrades. Another benefit to premium themes is that they are usually quite cost effective, mostly in the $39 to $79 range. Custom WordPress Theme – The ultimate way to have your site designed by a professional WordPress designer. This will allow you to have complete control and customization over your site. The only downside is that completely custom WP themes can cost into the several thousands of dollars, and it’s also tough to find really good designers. With all of this in mind, WordPress is definitely the way to go if you want to create a beautiful site that stands out from the crowd. When it comes to price and selection, I recommend going with a premium theme that matches what you are looking for, then hiring a designer/coder with any minor customizations you might have in mind. Every website needs to have a web host to make their content and site accessible across the world. Just like all web sites aren’t the same, neither are the web hosting providers or the plans they offer. Shared hosting is one of the most common and affordable hosting plans out there, but it’s probably not recommended if you have a business site or one that generates money. The reason for this is that your site is going to be thrown onto a server with potentially hundreds or even thousands of other sites — hence, why these plans are so cheap. A better option is to go with a dedicated hosting plan and to also get setup with a CDN (content delivery network) provider to help with the loading time and performance of your site. The way a CDN works with your site is quite simple. Instead of your site content always loading from the same server at just one location in the world, a CDN will load your site content from servers around the world (using the closest server locations to the actual visitors on your site). This helps with the overall performance, bandwidth and caching of your site. When it comes to the benefits of using a CDN, there are plenty. So the next time you hear about the benefits of using a CDN provider, don’t just think about how it can help make your site load faster. There are also many other components that go into the overall performance and speed of your site. We all know the importance of mobile marketing and users accessing our websites and blogs through their favorite mobile devices, yet why are so many site owners still negligent towards making sure their sites are mobile responsive. WordPress out of the box is a huge advancement and time saver over having a site built with HTML or a custom design, but there are still other ways to make sure your viewers are always accessing your site in the best way possible. First thing first, head over to Google and make sure your site is mobile optimized through their free site checker. If they confirm all is good, then we are off to a good start! The next thing you will want to do is actually visit your site on your own mobile device to see how it looks. 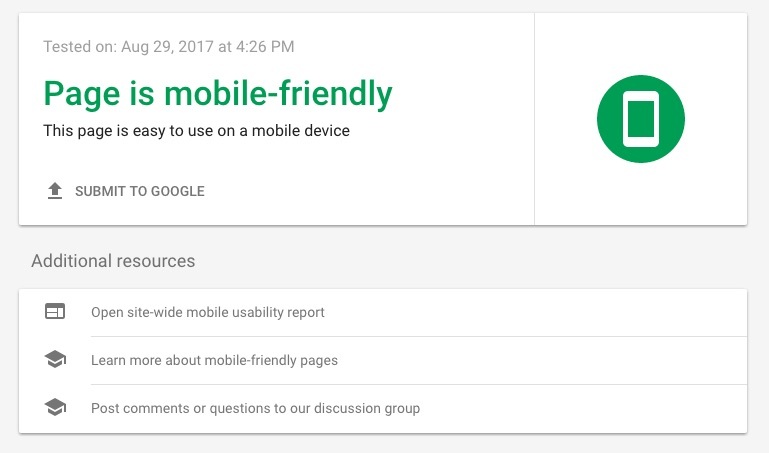 Just because Google says your site is optimized for mobile, it doesn’t necessarily mean it looks good or is shown how you want it. To improve the look and feel of your site on mobile, there are plenty of WordPress plugins you can use to customize the desktop vs. mobile look and feel of your site. Be sure to play around with such plugins and customization until you get the perfect look for your site across both browsing methods. Your Site is 1 in a Billion-Plus! Even though your website or blog is in competition with more than a billion active sites on the internet today, it’s still extremely important to you and all the visitors you already have. With this in mind, be sure to treat your site with all of the attention and care it needs. 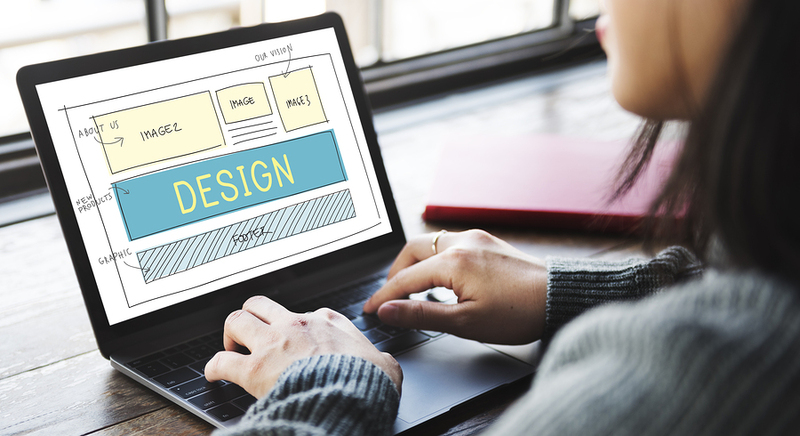 By implementing these simple site building and performance tips into your site, you will get that extra leg up on the competition while also giving your audience a better site experience in the process.